Before we look at how to go about how to get an article published, first of all, decide what you want to achieve by getting published. Why would you want to be published? Are you using the article to raise awareness of your business or a new service you’ve launched? Perhaps you want to position yourself as an expert in a particular field? Getting published is a great way to demonstrate your expertise. Your aim might be to become a paid writer, and so you’re looking to hone your skills or establish a portfolio of work. For the purpose of this guide, we’re going to assume that you are not aiming to become a professional writer, but wish to raise awareness of your business or to be seen as to the go-to person for something. Start by doing your research to identify the right magazines to approach. This could be a magazine aimed at the general public or a trade magazine, which is read by other people working in your industry. Look at “back copies” to find out if they publish articles by guest writers (some use only use work from their own staff). Can you expect to be paid? Take a look at the magazine’s guidelines (you’ll probably find them on their website), and you’ll see whether you’re likely to be paid or not. A lot of specialist magazines are produced on a minimal budget for avid enthusiasts; they’ll probably be very upfront about not being able to pay for an article. Often, even larger magazines are unwilling to pay writers they don’t know. If you’re trying to promote your business or position yourself as an expert, instead of expecting a fee, think about getting published as an opportunity for free advertising. If you take an ad out in the same magazine, it’ll also stand out more than an ad would the following month. You will probably find guidelines for writers on a magazine’s website so make sure you’ve checked those. They will tell you whether to submit a brief proposal or a completed article. Look at articles they’ve published to see what the style of writing is and what the average article length is. You might not get accepted the first time you submit work to a magazine and in many cases will be up against very stiff competition. 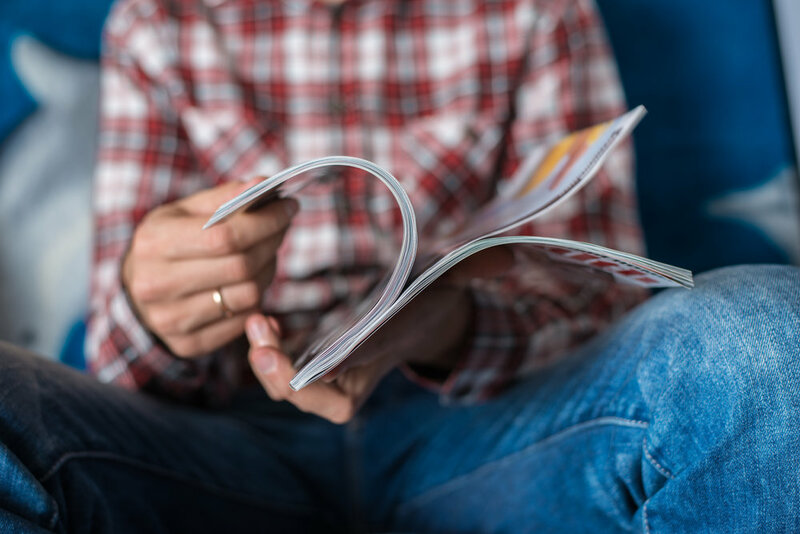 Bear in mind that magazine publishing is an industry that works well in advance so if you’re looking to be published in a January edition to coincide with an offer or event, you need to find out how far in advance the magazine works. Hopefully, this will help you before you put pen to paper. You might want to see our separate blog about how to ensure the article is aligned with your marketing plan.